After a quiet first part of his tenure, Wild general manager Paul Fenton on Thursday pulled off his second trade in as many days by sending wing Nino Niederreiter to Carolina in exchange for center Victor Rask. Both players have three more years after this one left on their contracts, but at $4 million per season Rask will count $1.25 million less per year on the cap than Niederreiter would have. Both are about the same age; Rask turns 26 in March, while Niederreiter turned 26 in September. 1 His best season from a goal-scoring standpoint came in 2015-16, when he netted 21 goals for Carolina. That was the season before his six-year, $24 million contract kicked in, and he’s declined from there to 16 goals two years ago to 14 last season to just one so far this year in 26 games. He has won 51.1 percent of faceoffs in his career, including a career-best 54.9 last year. 2 He’s been buried on the Hurricanes’ depth chart this season. Rask averaged more than 16 minutes of ice time per game through his first four NHL seasons; this year, he’s at just 12:02 per game. 3 Some of his struggles this season can be attributed to a freak injury suffered in September, when he injured the ring and pinkie fingers on his right hand while slicing food in his kitchen. The accident required surgery, and he didn’t make his season debut until Nov. 21. 4 The 6-2, 200-pound Rask was Carolina’s second-round pick in the 2011 draft and is a native of Sweden. 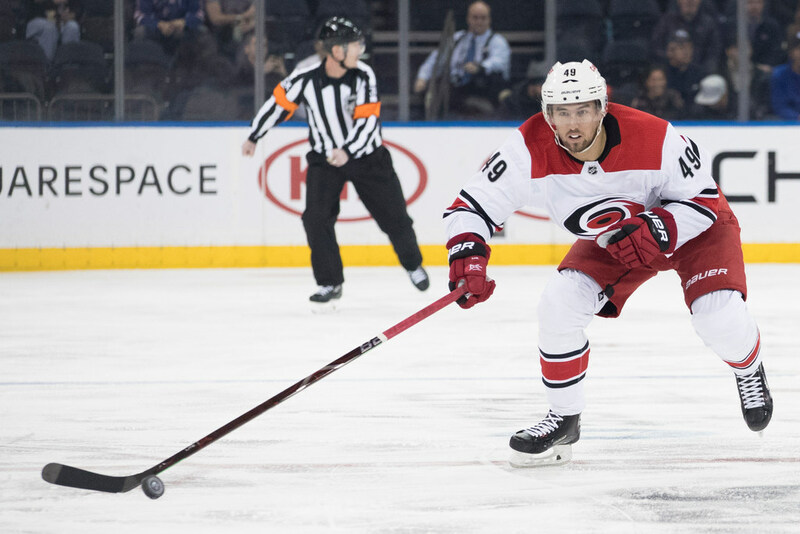 He made his NHL debut during the 2014-15 season and has no postseason experience since the Hurricanes have not made the playoffs since 2008-09. 5 Rask will wear No. 49 for the Wild, the same number he wore for Carolina. His older sister, Fanny, also wears 49 and was a member of Sweden’s Olympic women’s hockey team in 2014. Dan Fritsche, who played 34 games for the Wild during the 2008-09 season, is the only other Wild player in history to wear that sweater number.